Every traveler will be spending some time (sometimes an extended amount of time) in the air, so it’s necessary to keep certain items in your carry-on that will keep you comfortable, refreshed and relaxed. We’ve provided you with a list of not-so-obvious essentials (read as: toothbrush, socks, sweater, mints, tissues, hand sanitizer/wet wipes) for your next sojourn. ** Please note that any links included in our articles are for your convenience and are not monetized. Running out of phone battery probably falls under the category of the top five worst travel mishaps. Keep a portable charger in your carry-on to keep your mobile charged once you reach your destination. It’s also a smart move to keep it with you in case your luggage is delayed (or lost) with your charger inside. 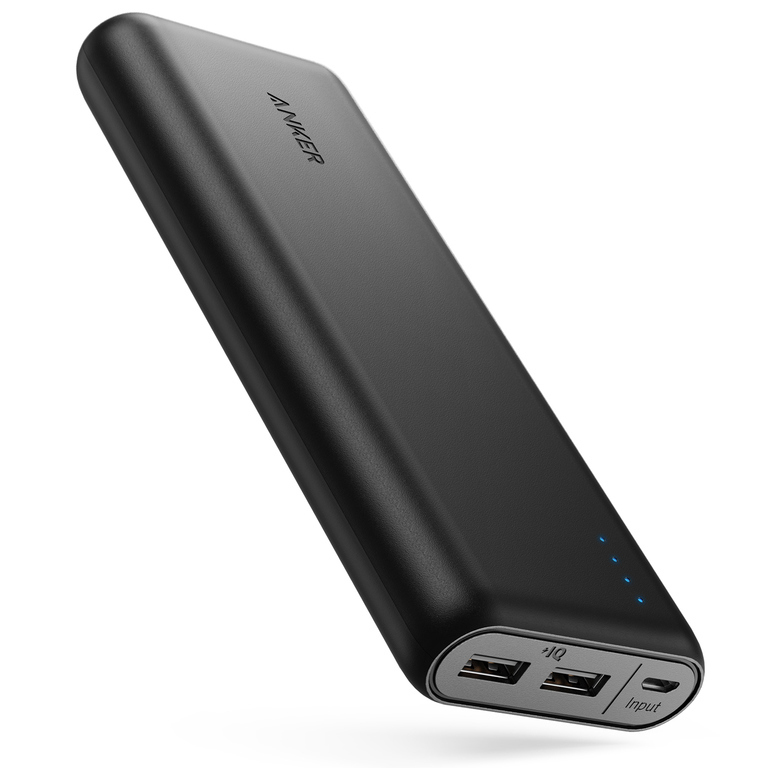 We recommend the Anker PowerCore 20100 ultra high capacity power bank. Let’s face it, we like to snack, and airplane food isn’t always filling (or yummy). Choose a granola or protein bar that is healthy and high in protein so that you don’t feel groggy upon arrival. 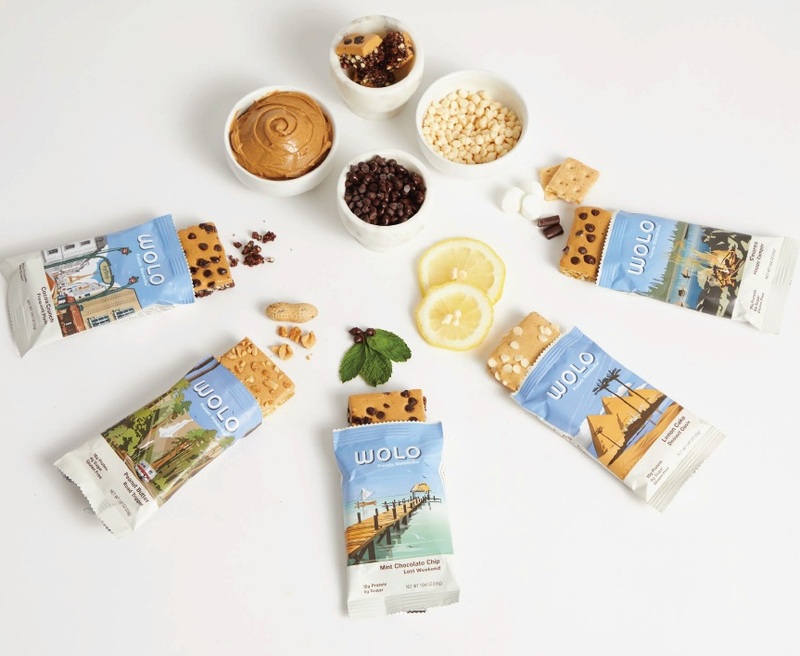 We recommend WOLO bars that are high in antioxidants and fiber to keep your body nourished and to keep your digestive system functioning normally. Ever had the annoying occurrence of needing something from your carry-on overhead, but not wanting to go through the hassle? We have and we’ve learned that an in-seat pouch is a necessity. Basically purchase any type of pouch where you can store all of your essentials that you know you’ll be using during the flight. Keep it in your seatback pocket and voila! Traveling made easy. Fun-fact: Your skin suffers from dehydration while up in the air. The change in climate from destination to destination can also take a toll on your skin. Pack a travel size (under 3 oz) moisturizer of your choice (add this to the pouch we mentioned above) and reapply throughout your flight and upon arrival. We recommend First Aid Beauty’s Ultra Cream Intense Hydration travel size moisturizer. There’s nothing worse than wanting to travel the world but have a fear of flying. 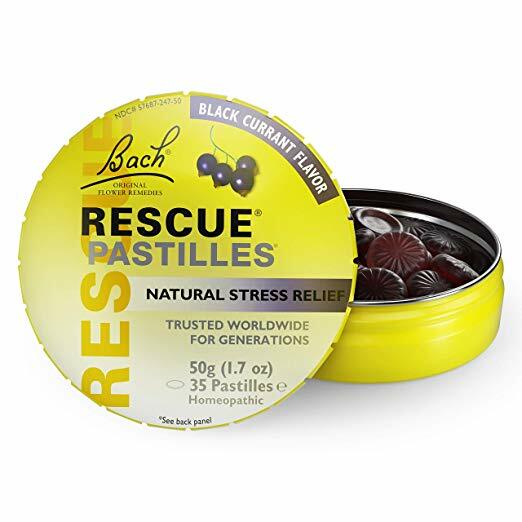 Bach Rescue Pastilles are natural, homeopathic stress reliever lozenges that ease the anxiety you may get while in the air. The sugar-free tablets come in flavors and can be used by all ages. Traveling with underwear in your carry-on is the ultimate step to take when planning ahead for any possible travel failures…aka lost luggage. Quo’s active underwear comes in individually wrapped packages so that you’re able to be a bit more discreet if TSA decides to open your suitcase. They also are one size fits all and do not require machine drying! Pucker up and don’t forget about your precious lips! Lips get chapped during flights and can get burnt on trips. Protect your lips with a moisturizing SPF lip balm. 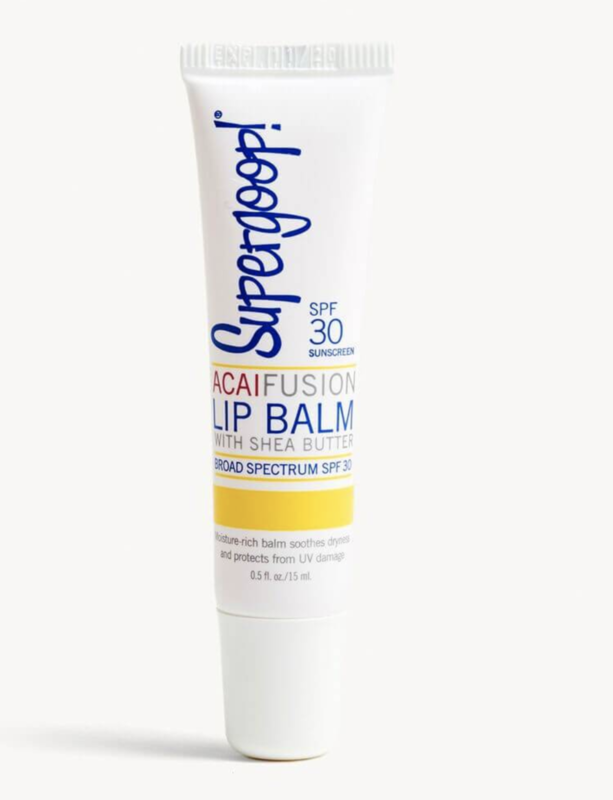 We recommend Supergoop’s Acai Fusion Lip Balm. It is also with shea butter—what a win!